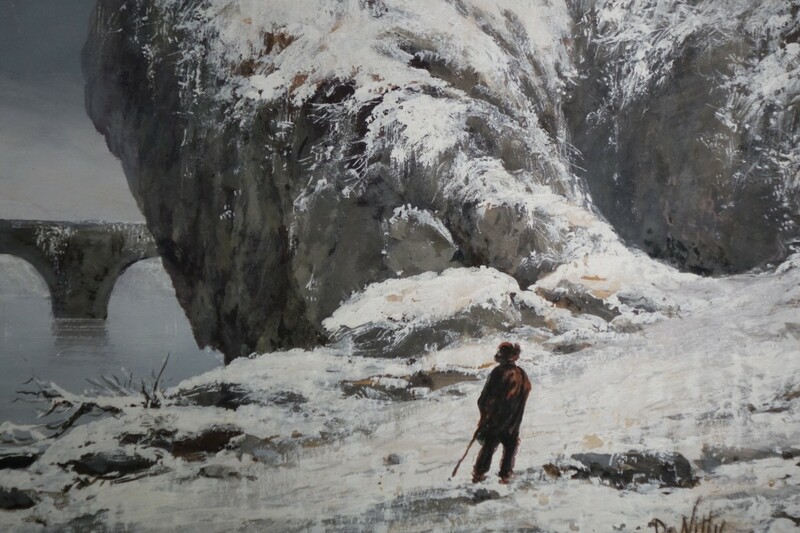 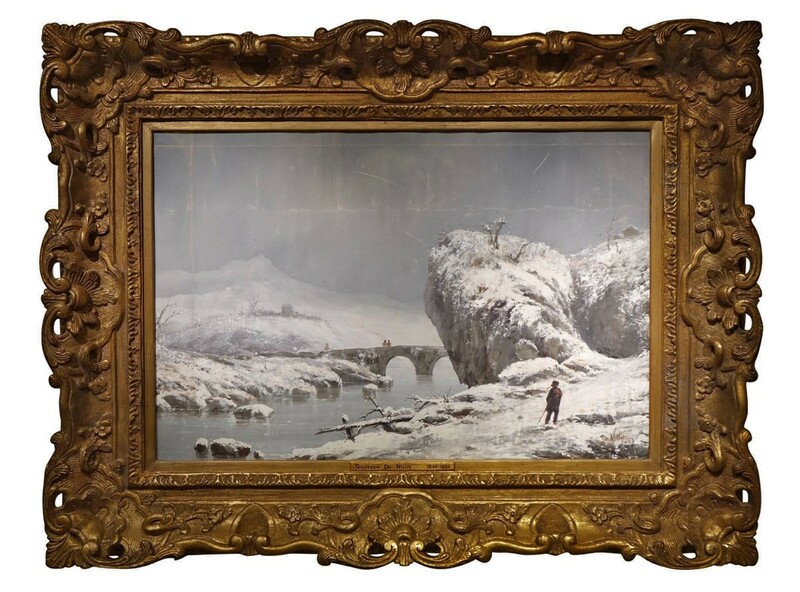 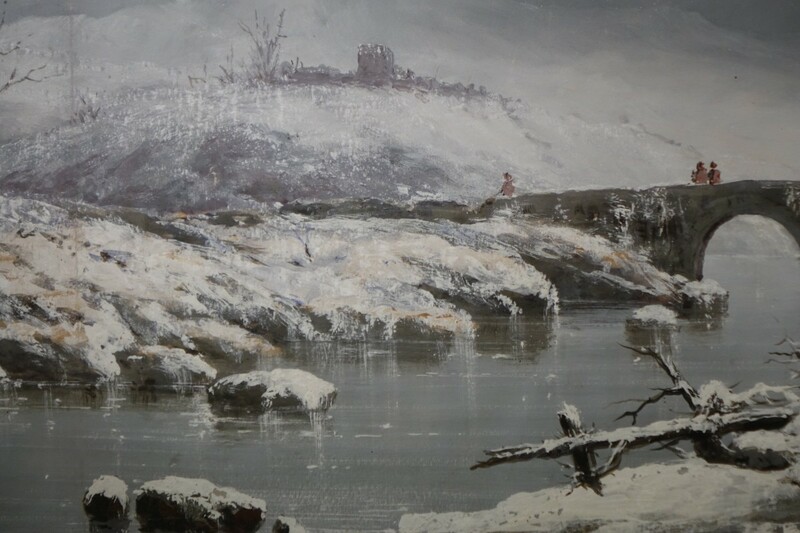 AnticStore > Catalogue > Paintings & Drawings > 19th Century Oil Painting > Napoléon III > 19th century > Giuseppe De Nittis (1846-1884) - Snow Landscape"
Oil on paper representing a snow landscape around a frozen river. 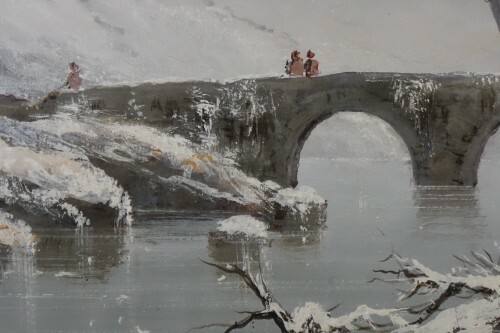 A character back in the foreground, three others on the bridge in the 3rd plane. 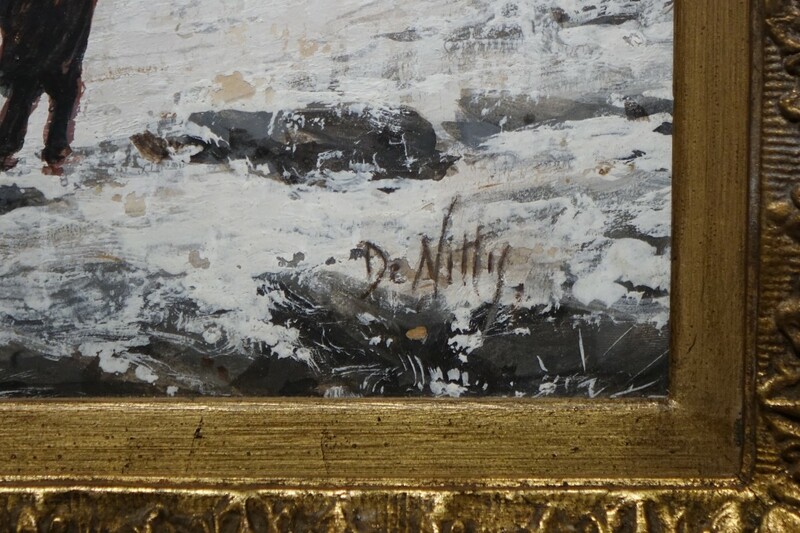 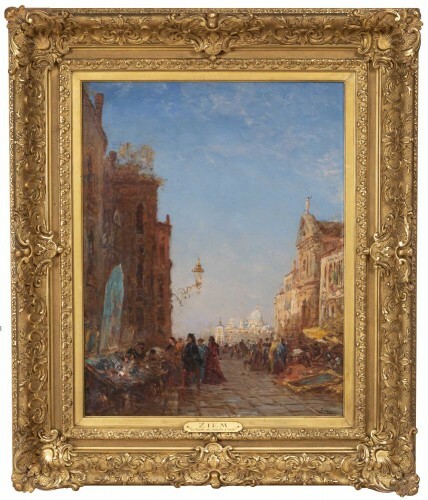 Signature on the lower right "De Nittis" Giuseppe De Nittis (1846-1884) Italian Impressionist, contemprain Boldini, friend of Caillebotte, Degas and Manet. 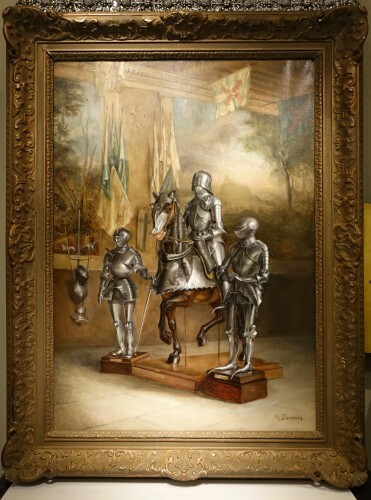 In 1867 he was in Paris where he met Meissonier and Gérome. 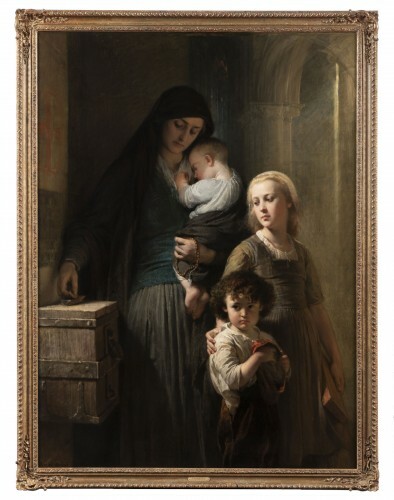 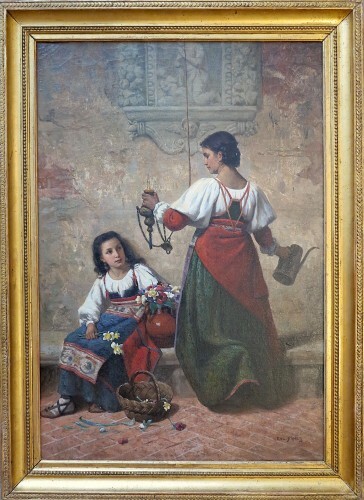 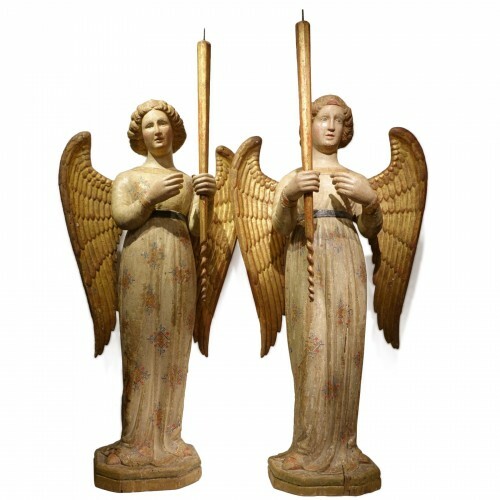 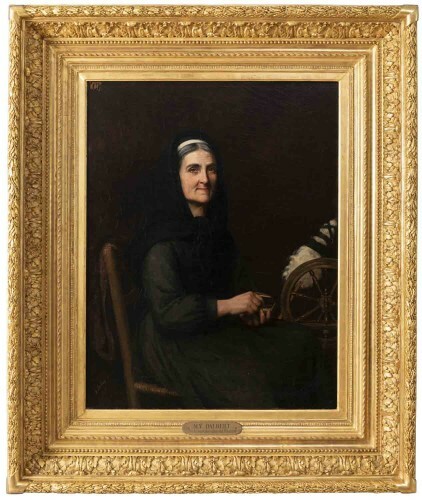 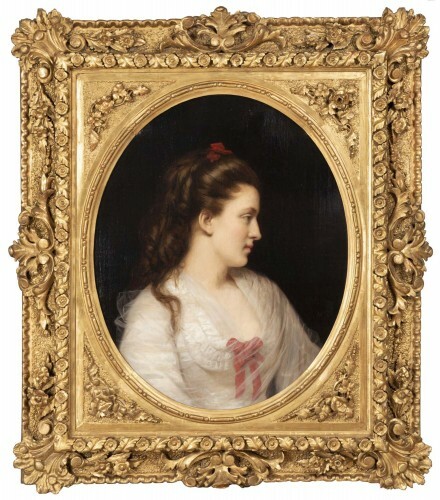 He is at the peak of his career at the US in 1878, where he exhibits 11 paintings. 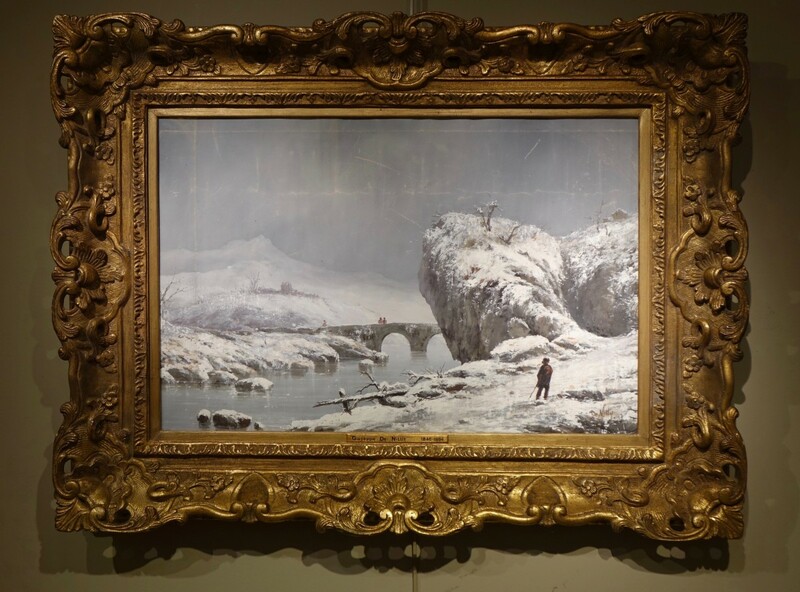 Museums: Paris (Carnavalet, Louvre, Orsay), Barletta (Pinacoteca De Nittis) works to bring closer: "effect of snow", 1880, Barletta.